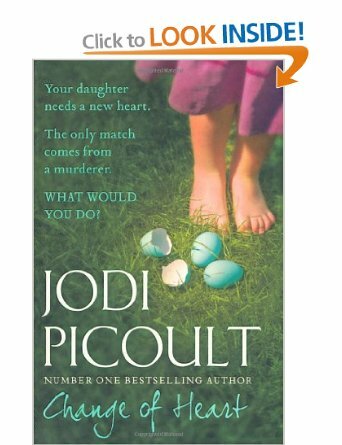 Whenever I am finding it difficult to concentrate on fiction, particularly when I want to get myself lost in a book, I will often turn back to Jodi Picoult. As fans will know, her books tend to the formulaic, but there is always a twist that makes the reader truly gasp at the end. Change of Heart, is no different, except that it has echoes of The Green Mile, by Stephen King. Looking at some of the reviews I was not surprised to find that some readers have been cross with Picoult – she is usually so original. Nonetheless, this is a book I found gripping for the most part. Some of the meanderings down the Gnostic Gospels felt a bit heavy, but I did have the advantage of having read some of them at university. The legal conundrum here is that for the first time in 69 years there is to be a state execution and the criminal decides he wants to make restitution by donating his heart to a relative of the family he decimated. This produces all sorts of ethical and practical problems which the author explores with her usual thoroughness. The style of writing adopted by Jodi Picoult works for her, but at times I found myself getting cross at the constant switching between one character-led chapter and another. However, as I stated at the beginning of the review I was deliberately turning to a tried and tested author to help get over Christmas fiction block. This book, then, gets a 7 out of 10. Still a good read. What do you think? Sometimes I wish I could experience a “fiction block” or at least a block regarding the escapist fiction I read. I am an addict. At this stage of life, however, I have at least reached the point if a book doesn’t engage me right away, out it goes, or off my kindle. I am also reading more nonfiction than previously, altho not at the same volume as the lit lite. Yes, those reading ‘blocks’ happen, and I am grateful to have the issue named. I have been stuck for a while, regarding reading…I who am normally an avid reader. Too many things to distract me I fear. I too am a follower of Jodi Picoult books but recently there has been a dearth of them in the library, and no being a fan of Kindles this led m to look for new authors. Found one recommended by Jodi herself, Jo-Ann Mapson, and am currently reading her Solomon’s Oak which I have found to be a page turner. Can recommend a dip into her books, this one is good to start with. She complex characters with problems but dealt with in very interesting ways, and ones with which I can relate and understand.